This IC is video processing. 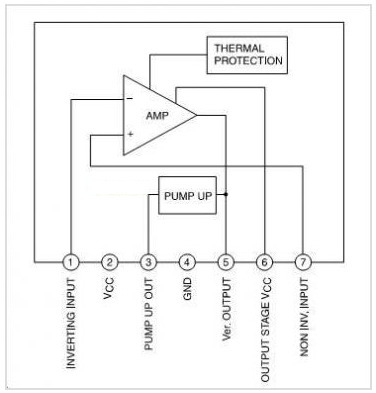 that supports the use of a bus control system signal-processing IC. The sawtooth waveform from the bus control system signal-processing IC can directly drive the deflection yoke (including the DC component). Color TV vertical deflection system adjustment functions can be controlled over a bus system by connecting the LA78141 to a Sanyo LA768X series or LA769XX series bus control system signal-processing IC. 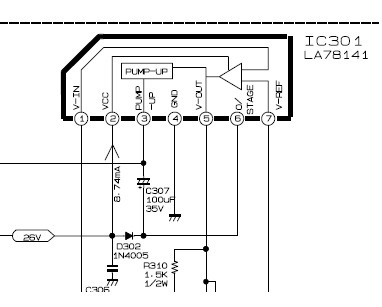 This entry was posted in Datasheet and tagged la78141 equivalent, LA78141 Pinout. Bookmark the permalink.